I don’t need to say much about glycerin soaps. It is the easiest and fastest way to make our own soap, without the dangers of traditional, hot or cold soap- making process. Personally, I prefer them, because you can make them easily and quickly and because they don’ t get “slimey” like traditional soap, even if we keep it hanging. They are way more functional and effective, they can be used by children and last but not least they are more aromatic. Exactly because they have a stronger scent, they can be used to freshen up the bathroom or bedroom, but also closets and drawers. 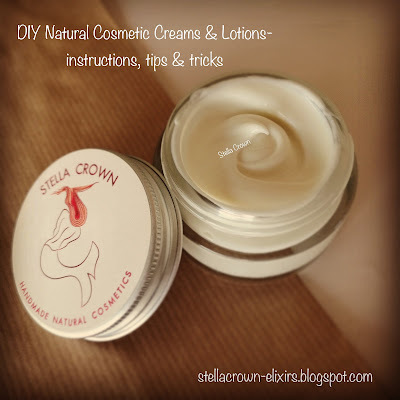 The following recipe is appropriate for all skin types, face and body. We cut and weigh the soap bases so that we have 50 g/ 1.8 oz of each (if you can’t find these specific bases, you can use 100 g/ 3.6 oz of simple white soap base). We cut them with the knife again in cubes, on our cutting board. We put the cubes in the beaker (if you don’t have one, you can use a large coffee pot) and we place it in a bain marie. We wait for the contents to melt and check with the thermometer. When the temperature reaches 60C we remove from heat while mixing with the whisker or a spoon, until we make sure that the soap base is well- melted. We add the food colouring of our choice, drop by drop and mix well. We pour then the essential oil we have chosen or soap fragrance and continue mixing. We spray the soap in the beaker and the inside of the silicone mold with alcohol or alcoholic lotion. We pour our melted soap into the mold and we spray its surface again to get rid of the bubbles that have been created. We wait for the soap to cool down and set. This can take from 15’ up to 1 hour, depending on the room temperature. If I am in a hurry, I carefully put my soap in the fridge for 20-30 minutes. Once the soap cools down, we take it out of the mood and wrap it in plastic wrap in order to maintain its scent and moisture. 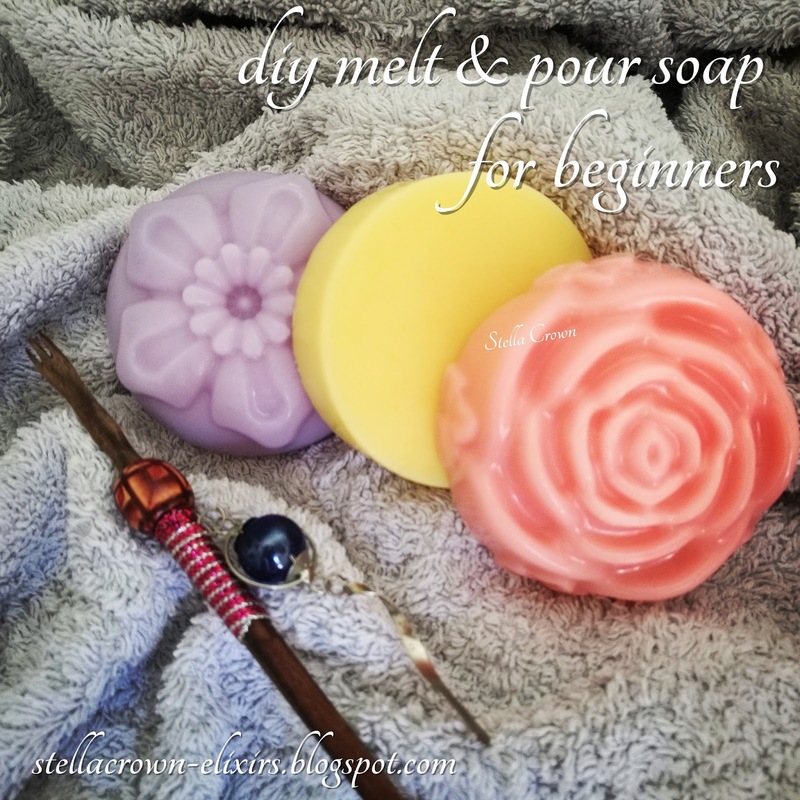 In the soaps pictured above I have added rose essential oil for normal and combination skin types, Chios mastic essential oil for dry and mature skin types and lavender essential oil for oily skin types that tend to break out.